Item # 306788 Stash Points: 2,595 (?) This is the number of points you get in The Zumiez Stash for purchasing this item. Stash points are redeemable for exclusive rewards only available to Zumiez Stash members. To redeem your points check out the rewards catalog on thestash.zumiez.com. 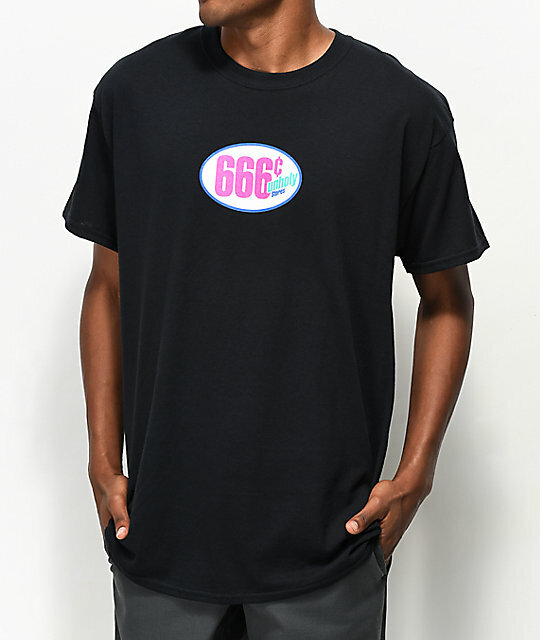 Represent your favorite unholy discount store with the 666 Cent Store Black T-Shirt from Ain't Nobody Cool. This black tee shirt offers a soft 100% cotton construction with tagless neckline and is complete with a "666 Unholy Stores" graphic at the chest. 666 Cent Store Black T-Shirt from Ain't Nobody Cool. Screen printed graphic at the chest.